A siding renovation can produce the most dramatic visual change on the outside of a house. New siding makes the exterior of a house look brand new, adding resale value, visual appeal and helps protect your home from the elements.Old vinyl, wood, or aluminum siding often allow air, water, heat and cold to escape. Our high-quality vinyl siding provides waterproofing and temperature benefits over all seasons. In the winter months it provides a protective layer that helps to retain warmth inside and keep cold out. During the summer months it reflects heat to help keep you cooler, providing ample savings on your home’s energy bills. In the end, the siding pays for itself. Designed to be both maintenance-free and environmentally friendly, vinyl siding never needs painting, sealing, staining, cleaning or treating with chemicals that can be toxic or harmful. The cost of scraping and painting your home every few years can add up quickly. Its highly durable, weather-tight construction ensures a long service life with outstanding thermal protection for your home. 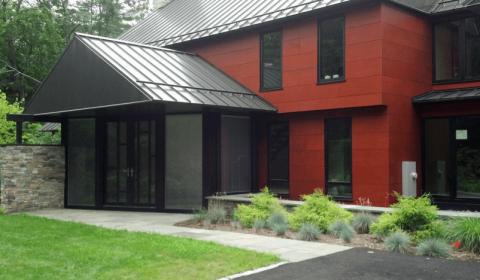 For over 20 years, A to Z has been providing economical siding replacement services in Metrowest Massachusetts. Our trained siding professionals use premium quality, brand-name vinyl siding that is easy to maintain and lasts a lifetime.